The 35th World Expo will take place in Dubai between October 20, 2020 and April 10, 2021. It is the first such event to be held in the Middle East. Under the overarching theme of 'Connecting minds, creating the future', 170 countries will present ideas, innovations and technologies before an estimated 20 to 25 million visitors. The pavilion is the embodiment of the Netherlands' chosen theme of 'uniting water, energy, food' and demonstrates the connection this country is so good at making between sustainable energy, water management, agriculture and circularity, said the Ministry of Foreign Affairs, the Netherlands Enterprise Agency while unveiling the winning design. The circular or closed-loop climate concept generates a world in which visitors are able to immerse themselves in silence, warmth, coolness, light, darkness, agriculture and water, and in which they can discover natural ways of controlling climate. In Dubai's dry desert climate, the Netherlands will create a temporary biotope, it added. All materials will be either given back or recycled after the expo closes, a strategy that will keep the pavilion's ecological footprint as small as possible. Building on the Netherlands' international reputation for excellence in civil engineering, which is especially strong in the Gulf region, the pavilion is a temporary exercise in pragmatism. In contrast to the civil engineering character of the exterior, the interior adds a scintillating layer of light, tactility and refinement, inspired by the typical rhythm of the Dutch landscape and geometric patterns and elements from the Arabic culture, the consortium said. 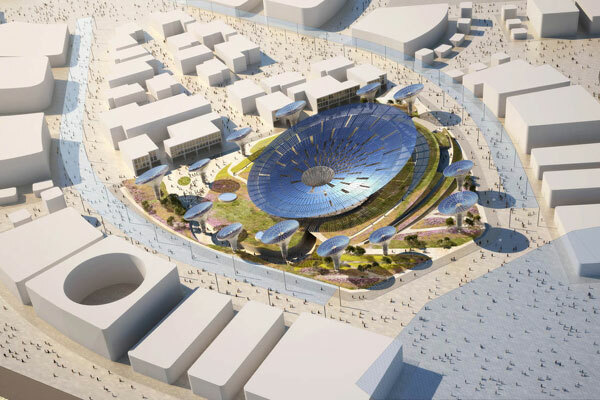 The pavilion is in the Sustainability district and forms the culmination of the Netherlands' multi-year campaign in the Gulf region, focusing on Dutch expertise in the domain of water-energy-food. In addition to its presentation of 'the Netherlands', the pavilion is also a meeting point for the business community, educational and research institutions, governments and social organizations.